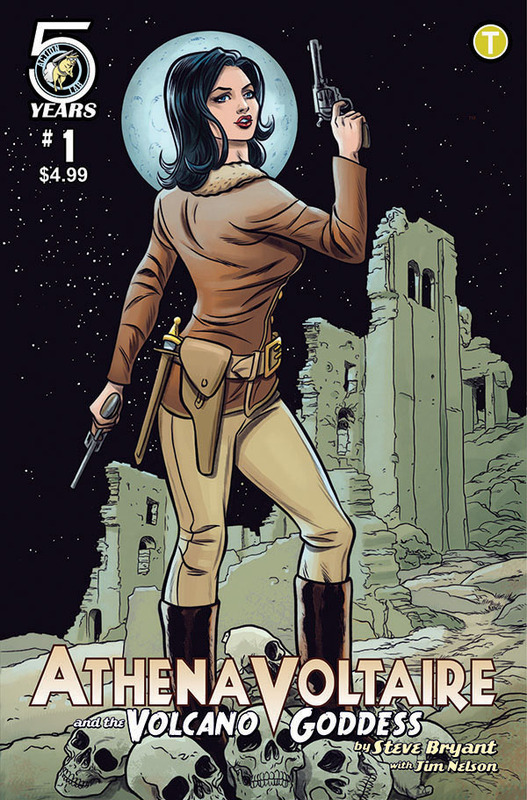 The fan-favorite pulp heroine returns in an all-new miniseries written and drawn by Eisner and Manning Award-nominated creator Steve Bryant. 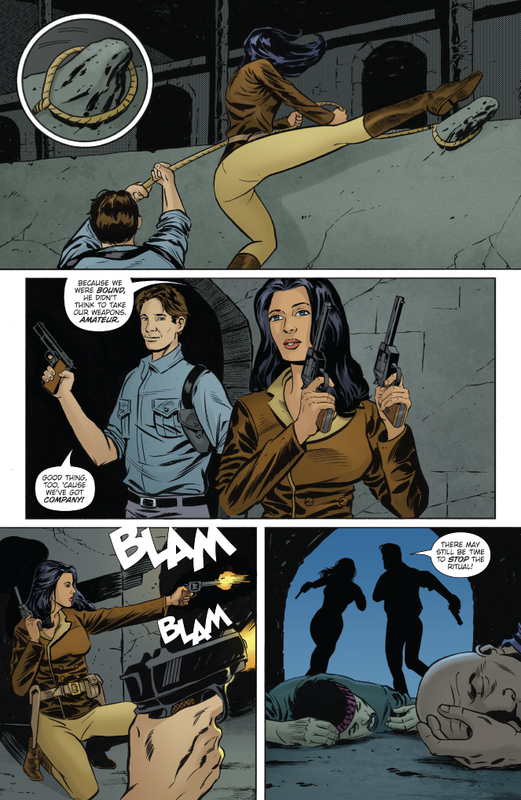 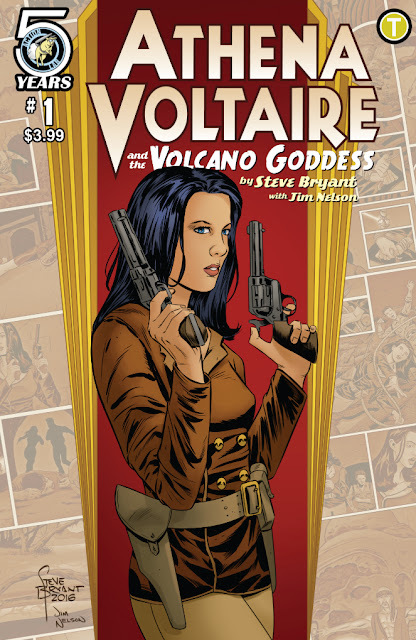 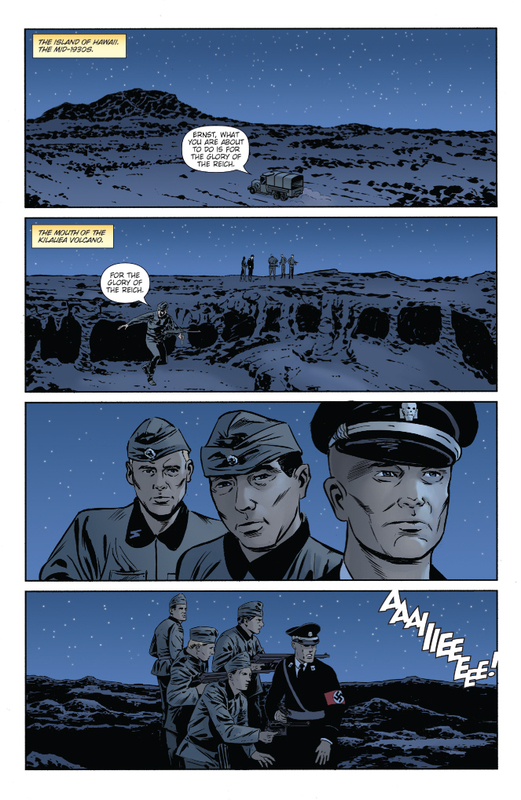 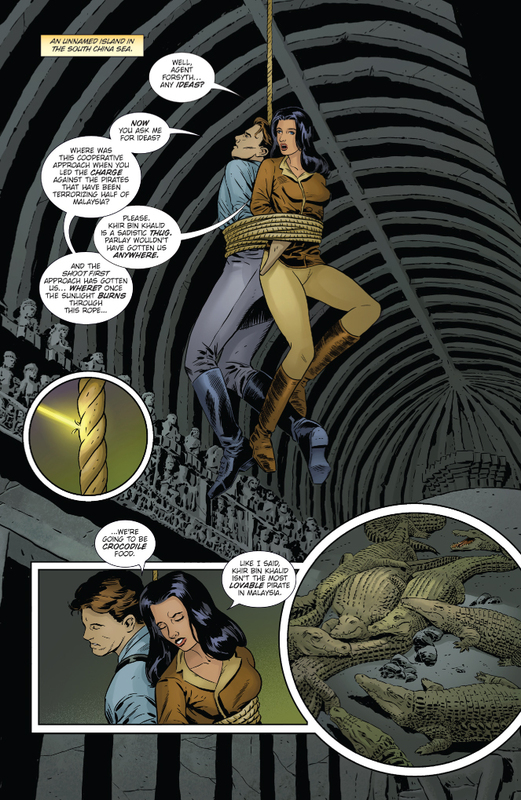 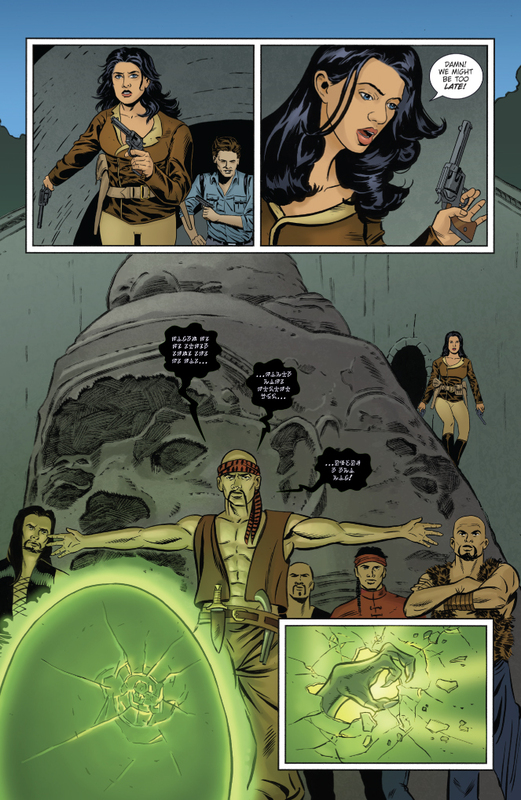 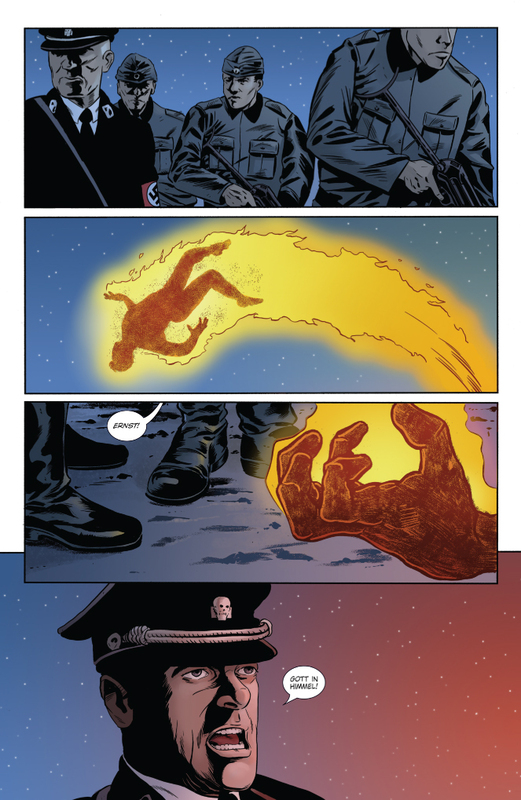 When her father gains possession of a legendary necklace, Athena Voltaire must save him from both strange assassins and the Nazis, who want the power the artifact could unlock! 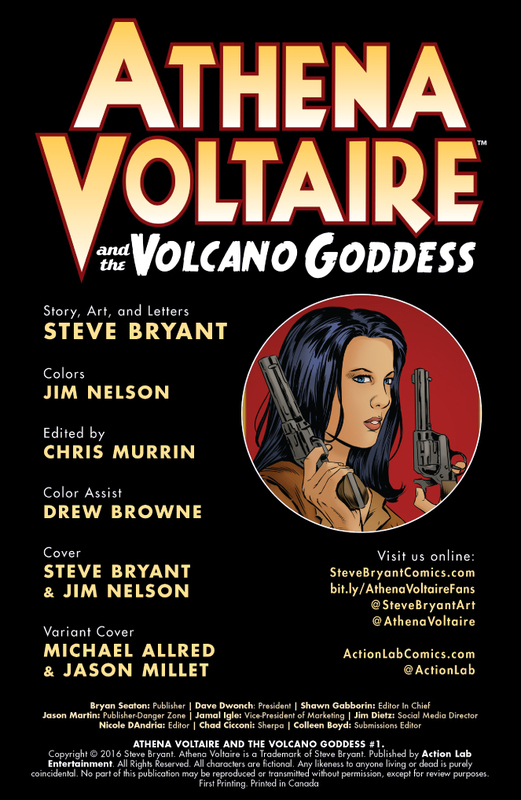 Variant cover by comics legend Michael (MADMAN) Allred!